Food affects mood in a whole host of surprising ways, from vitamin links in metabolic pathways, to our associations with birthday cake. Food and mood are closely related. Whether you feel irritable because you haven’t eaten or you feel like you need to eat comfort food because you’ve had a hard day, the two things are difficult to separate. We have a couple of things going on here. On the one hand there is the psychological prop of having something comforting, and on the other there is the biological need for nutrients. Both are important. Serotonin is a chemical messenger in the brain, which is important for mood stabilisation. Serotonin, among its other functions, helps with learning, memory and social behaviour. It is made from an amino acid that’s found in a dietary protein called tryptophan. Unfortunately, eating tryptophan-rich foods doesn’t increase levels of serotonin, but there is another factor that may. 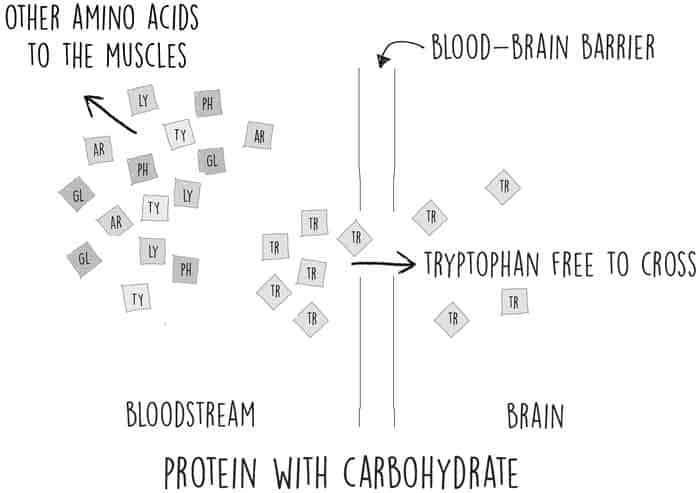 When we eat protein, it gets broken down into its constituent amino acids. Normally, these all compete for passage across the blood-brain barrier meaning that none of them can cross in greater numbers than the others. But carbs can influence the level of tryptophan in the blood. 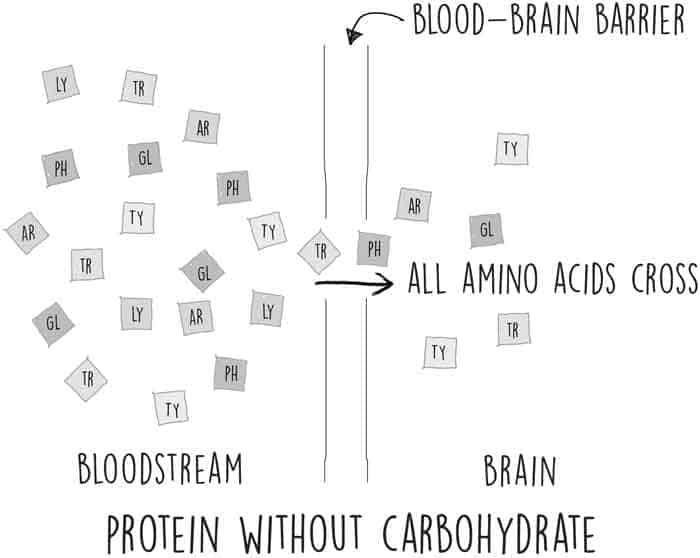 This is possible because insulin released after the ingestion of carbs triggers the muscles to uptake other amino acids that would normally use the same absorption pathways, leaving those pathways clear for tryptophan to enter the brain. Because tryptophan is a precursor to serotonin, eating carbohydrates with protein can affect how much serotonin is released. 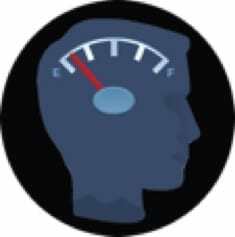 Omega-3 essential fatty acids are critical to brain structure and therefore brain function. Brain cell membranes have a high component of omega-3s and although the brain can make do with other fats (and often does), a low intake of omega-3s is often seen in people with mood disorders and vice versa. Higher omega-3 levels seem to mean higher serotonin levels. There is no consensus about why they work in this way, although one suggestion is that because the fats are unsaturated they are more fluid, which may aid the passage of serotonin through the cell membrane. The brain runs on glucose so it’s important to feed it with carbohydrates. Not all carbohydrates are created equal. If you have carbs with a high glycaemic index (GI) they enter the bloodstream very quickly, which can lead to a blood sugar spike. 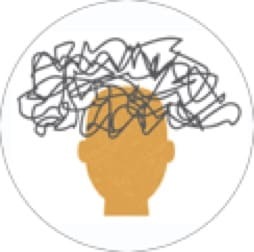 The body’s protective mechanism for this is to release a lot of insulin to bring blood sugar back down to a safe level – often leading to a sugar ‘crash’, essentially starving the brain of what it needs and often leading to adrop inmood and sometimes irritabililty. By having low-GI carbs in the right amount, blood sugar rises gradually and doesn’t need an emergency insulin response, meaning everybody’s happy. Literally! Food performs so many functions for humans. We need it for fuel and nutrients but it also has a role in bonding, creativity, celebration, religion and pleasure. However, on the flip side of that is food as the stressor: “Am I eating too much?”, “Has my child eaten enough vegetables?”, “Is my weight OK?”, “Is it healthy?”, “Why can’t I resist food?”, “Why am I always hungry?”, and so on. 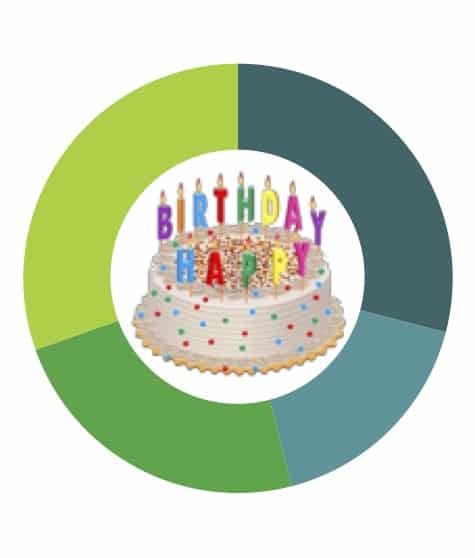 Cake is eaten at birthday parties and is associated with good times. Having cake can provide a shortcut to feeling good. However, that feelgood feeling is quickly replaced with negative emotions about personal “failings”. This is a bad relationship with food and the cycle of comfort eating followed by feelings of guilt and shame is something that can be turned around with a little practice and effort.